There’s a reason why we call it the “march of progress” instead of the “moonwalk of progress.” Technology is meant to move steadily forward, but there are still plenty of times when tech has inexplicably reversed course on us. One of the most striking examples are Damascus swords. Damascus swords are the stuff of legend – literally. When Richard the Great faced Saladin, Richard is said to have proved his sword’s might by chopping a tree trunk in half with a single blow. Saladin took a silk scarf, threw it into the air, and let it waft down over his sword, where it was promptly cut in two. Saladin was not the last one to get a Damascene sword, but he was nearer to the last than to the first. Eventually, the knowledge died out, and people have been trying to recreate the swords ever since. This was obviously a step backwards in terms of science, but people didn’t realize how much of a step back until the early 2000s. When scientists took a look at the swords, they found carbon nanotubes and nanowires embedded in them. As far as we can tell, the nanotubes were created by getting the impurity levels right in the steel-making process. Damascus steel is badly-named, as it originally comes from India. It has a 1.5 percent carbon impurity level, and is commonly known as Wootz steel – which, arguably, is an even worse name. The steel forms a banded structure. There’s a central band of Fe3C, an iron and carbon combination that is tellingly named cementite, surrounded by softer steel. As the sword is made, the maker criss-crosses these bands carefully, making a matrix of hard and soft that leaves the sword both strong and flexible. At the end of the process, the maker pours acid on the sword. This eats away some of the softer steel, but leaves the nanotubes and nanowires, and creates an ultra-strong, sharp outer layer. 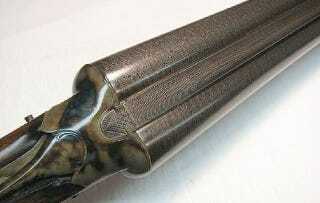 It also brings out a swirling pattern of dark and light bands that marks it as a Damascus sword. Why did this process, so obviously useful, get lost? Nobody entirely knows. Some say that certain regions of India had an abundance of the iron and carbon deposits and formed the material naturally. When it was mined out, no one knew how to make it. Others think the knowledge was lost due to social upheaval. There’s also the possibility that the sword trade just died out over hundreds of years of declining relevance. Some swords from the 1800s bear some of the marks of low-quality Damascene steel. Arguably, the technique isn’t lost at all, as some scientists claim to have re-discovered the process. If we don’t have swords, we at least still have carbon nanotubes.